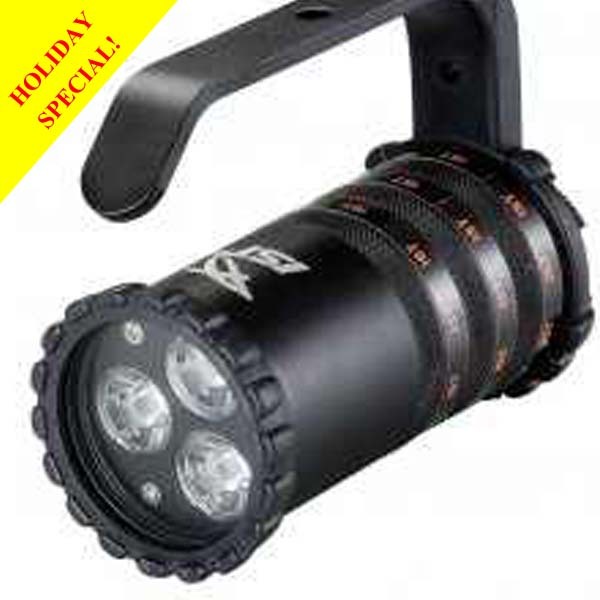 • Compact and sturdy, provides effective illumination for night diving or cave exploration. • Durable, attractive anodised aluminium alloy torch body. • Comes with user-changeable photographic lens. • Lantern handle with adequate clearance, even when using thick gloves. • Switch lock prevents accidental activation. • Twin O-ring waterproof seal.